Sisters share everything… even murder. Premiered: October 13th, 2006 at the Sitges Catalonia International Film Festival. Released straight to DVD in the U.S. March 11th, 2008. 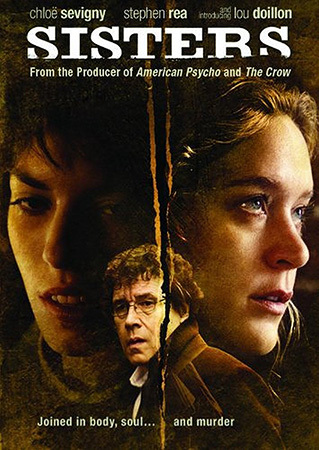 A reporter (Chloë Sevigny) witnesses a brutal murder, and becomes entangled in a mystery involving a pair of Siamese twins who were separated under mysterious circumstances, one of them (Lou Doillon) forced to live under the eye of a watchful, controlling psychiatrist (Stephen Rea). Chloë Sevigny stars in the film as Grace Collier, a reporter working on a exposé into the mysterious deaths of Dr. Lacan’s patients who becomes obsessed with the case when she becomes witness to a murder by one of the doctor’s subjects. • Actress Asia Argento was initially cast in the role of Angelique, but dropped out of the project at the last minute. The part ultimately went to French model-actress Lou Doillon. • Sisters was filmed entirely in North Carolina in the U.S. and Vancouver, BC, Canada on an estimated budget of just $60,000. • Although the filmed debuted in Spain at the Sitges Catalonian International Film Festival as early as 2006, it was not released in the U.S. until spring 2008. The film received a limited theatrical release in Greece and Japan in 2007 and 2008 respectively, but went straight-to-DVD in most countries, including the U.S.
• Sisters is a remake of Brian De Palma’s 1973 movie by the same name. Because Sisters received a limited theatrical in only a few countries and went straight to DVD in the U.S., it went mostly unnoticed by both critics and the larger audience. Extracts from professional movie reviews: Coming soon/not available. Sisters has received 2 award nominations. “From the producers of American Psycho and The Crow…” Yeah — forget this, because apart from indeed sharing producers, neither film has anything to do with Sisters, a decidedly forgettable low-budget offering with very little of interest outside top billing for Chloë Sevigny (who really deserves headlining better movies). This is not the kind of movie you do to further your career, to receive accolades or to experiment with something creatively. This is a movie you do either as a favor to someone you know or to earn money until the next movie. 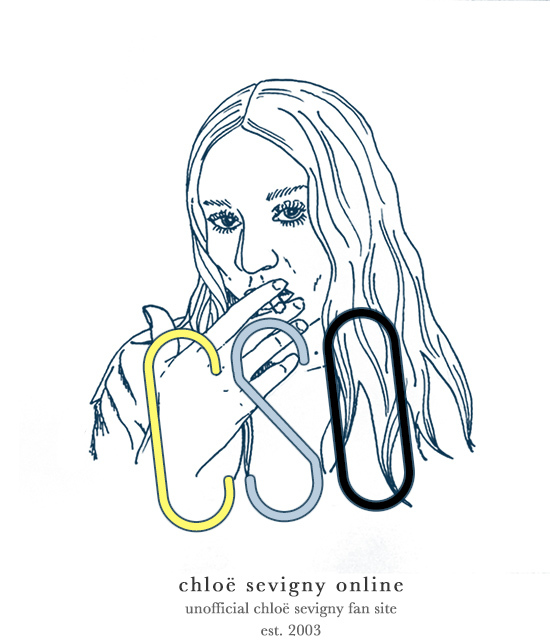 To the film’s credit — or rather Chloë’s — Chloë Sevigny does turn in a solid performance despite the less-than-inspiring script she’s had to work with, but whatever Chloë achieves here is soon deflated by her co-star model Lou Doillon’s nonexisting presence. I realize the film did gain some minor recognition on the festival circuit in 2006, but I’m sorry to say I really don’t see what that was for. The film’s just not very good. Below are some Sisters-related links that may be of interest to you.